In order for your primary navigation menu to appear, you must first create one. If you chose to import the demo content, you'll find your menu already created and waiting for you. 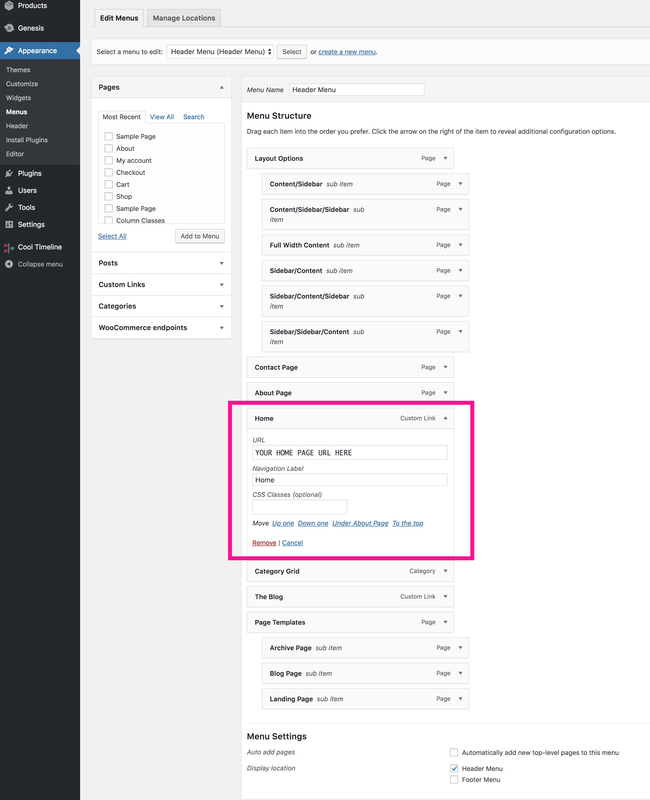 Once your menu is created, simply check the box next to Header Menu. When you create your "home" link in the primary navigation tutorial, be sure and use https if your site has an ssl certificate installed, otherwise your logo will not show up. If your logo is not showing, try changing your custom link from http to https, or vice versa.